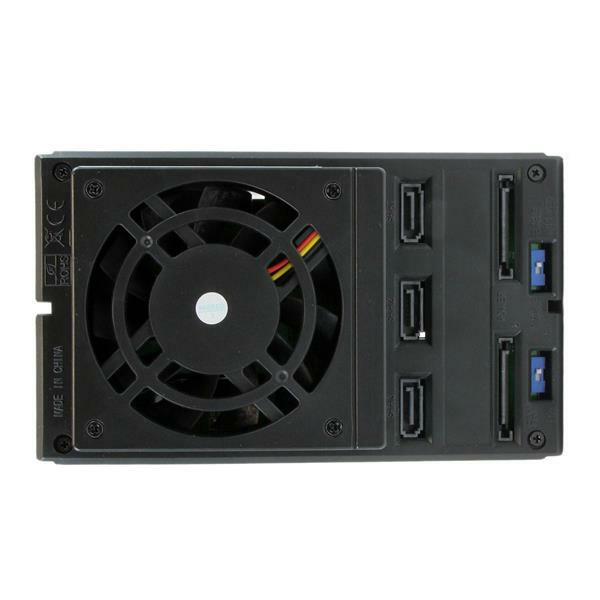 The HSB3SATSASBA Removable 3-drive backplane lets you quickly install and hot-swap 3.5" drives from the front of your computer, by turning two 5.25" bays into a hot-swappable interface for you to connect up to three 3.5” SATA or SAS hard drives (HDD). 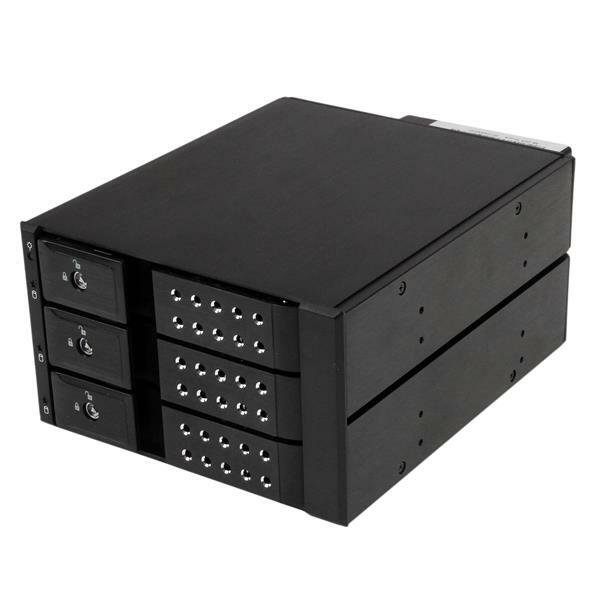 For added versatility, the hard drive bay can interface with SATA I/II/III and SAS I/II hard drives -- an ideal accommodation for enterprise system applications. 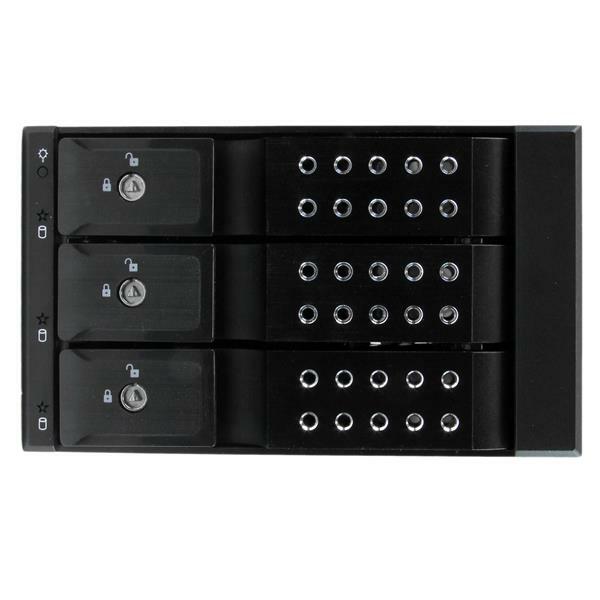 For a quick and secure method of installing and removing drives, the backplane features ejection levers and a key-lock design. 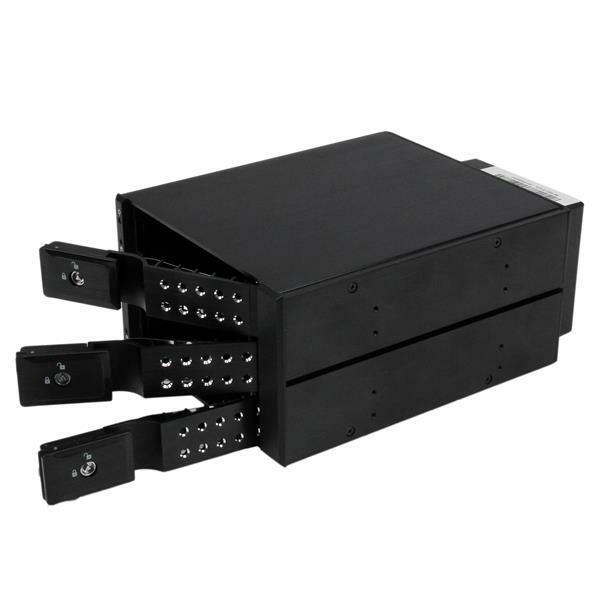 To help prevent drive failure, the bay provides excellent heat dissipation with a built-in fan, and a vented solid aluminum enclosure. The HSB3SATSASBA is backed by a StarTech.com 2-year warranty and free lifetime technical support.